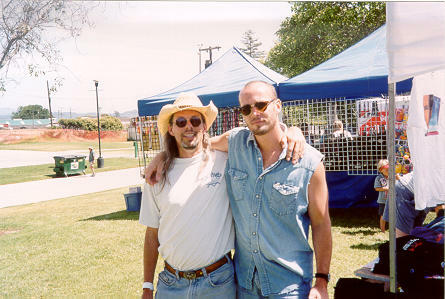 That's me (on the left) and Paul Thorn (to the right) in the picture below, taken at the Santa Cruz County Fairgrounds in Freedom, California where Paul and his band performed in the Texas Uprising / Swine Soiree put on by KPIG Radio. See my Paul Thorn Fan Page for more about The Man. 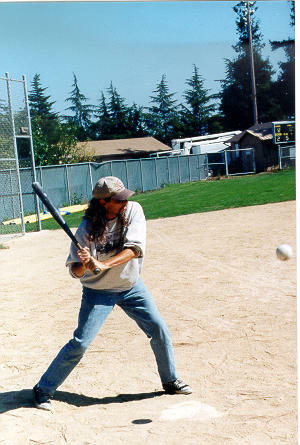 Taken in 1999 at an SCO company picnic, this shot shows why i was always deemed "good field, no hit" by my baseball managers. 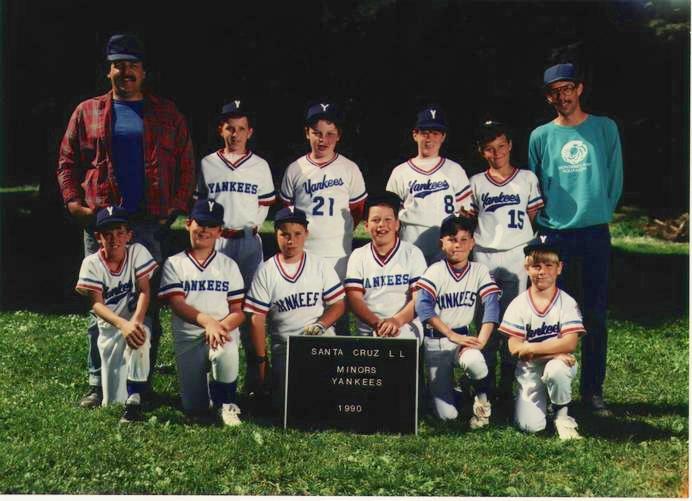 One of the most intense experiences of my life was coaching a little league baseball team. Great kids, lousy umps, fanatical parents. Wow. We helped out with raising money for Big Brothers, Big Sisters. 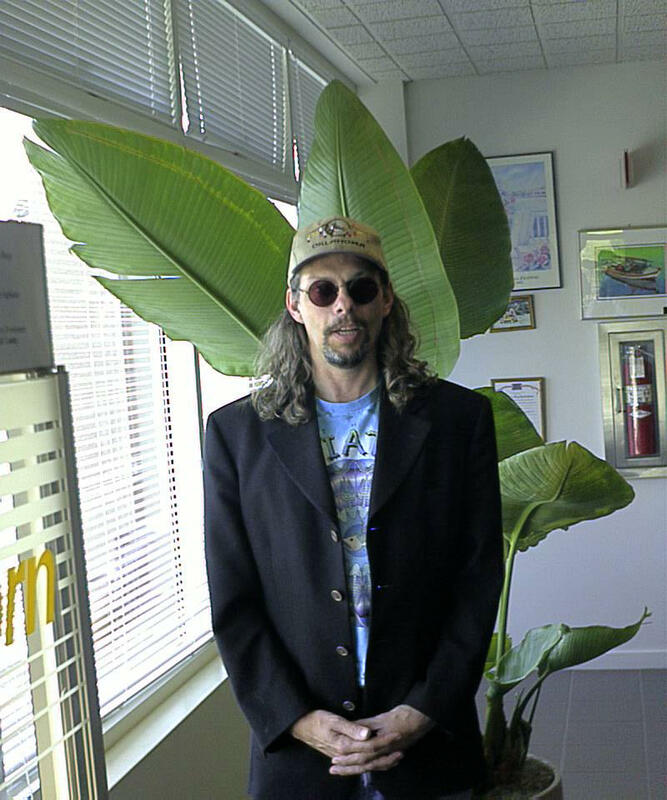 One year we won the prize for most dollars raised. 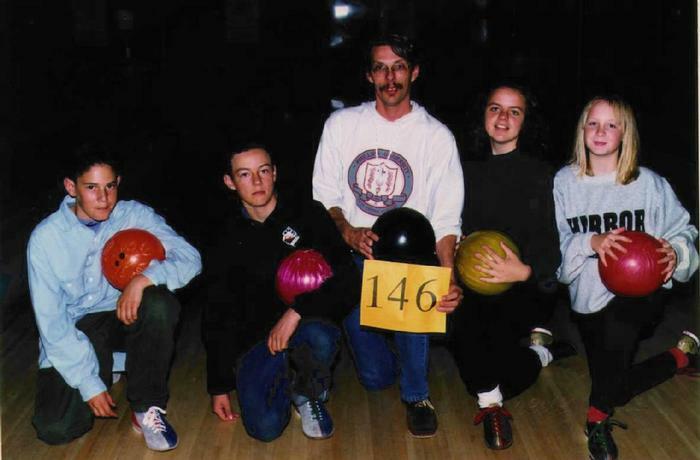 That's our team number, not our bowling score - we were good.